When I originally had the idea for this piece of writing I’m about to share with you, I was in a place of transition. I didn’t know my place in the world, I didn’t know if I was worth it and I certainly didn’t feel like I could love myself. Here I am almost a year later, an example of how this works - if you choose to put it into practice. You can improve and learn to love yourself. You can take the steps that bring you into a better place. I won’t say it was easy and I certainly won’t say I had overnight success, but when you learn to fight your battles one at a time, you’ll be able to look back and see how far you’ve come. I have always been a timid person. I’ve always had trouble keeping the standards I have for myself something below what I deem “perfect”. I enjoy discipline and when I don’t know what to do or my world is shaken, I’m hard on myself. With that said, I've always felt like I was not allowed to love myself. I felt like saying I was cool or awesome was for some silly reason. Forbidden. I thought people would shun me if I voiced fondness toward myself. This, I think, led me to the course of thinking well, maybe I'm not as great as I originally thought. Maybe I'm annoying... Or weird... Maybe I'm not-- And so on. I am now eighteen years old and I've changed my view on this completely. Self love isn’t narcissistic. It’s something we’re entitled to. You hear that? WE ARE ALL ENTITLED TO SELF LOVE! If you take a moment and vow to be a little more forgiving, a little less harsh on yourself, don’t you think that it would take an unneeded weight off your shoulders? I urge you to allow yourself to love yourSELF. You are a great, amazing, fantastic human being! You’re breathing! You’re full of hidden talents others will be delighted to see! You’re the only you this world will ever come to know, and as soon as you realize that... gosh, things will start feel so much better. I can guarantee that. Take the first step. Start with a simple hug. Wrap your arms around yourself, give your torso a tight squeeze. Rub your sides and smile. Kiss your shoulders and spin around. Keep doing this. Do it every day. Remind yourself to let down your stubborn walls and silence your inner critics so that you can live the life you deserve. Attached to this letter is not only my love, but my gratitude, thankfulness and a small box of decadent dark chocolates (your favorite kind). I would've had flowers delivered too, but no measly plant could ever compare or express my feelings toward you. Ahh, my dear. You are my truest bundle of joy. It does not matter what mood you are in - you light up my day in the most wonderful of ways. Your smile makes the sun jealous. Your embrace makes me feel full. Your laughter - so thick and loud - makes me laugh too. What I love most is when you are truly and purely being yourself - because that's who you're meant to be. PS: Maybe we could share those chocolates later, eh? What is a great exercise for getting the self love flowing? Taking the time to write yourself a love letter. Amp up your best qualities. De-sock your feet as you write and wiggle your toes as your write. Get a big thick blanket and curl up under with a flashlight. Poetry works. Like, really sappy, intense, rhymes flying everywhere poetry. Once your letter is done, seal it up in an envelope or just crumple it up and place it on your desk. No matter how bad, silly or weird you think it is, DO NOT throw it away. Open it up and read it as many times as you need. Remember how you felt when you were writing it. Let new feelings develop as you read it again. Stand up and hug yourself. Right now. Sit back down and take five minutes or more to write a love letter to yourself. It is, actually! The song carries the same message that you wrote here, on your post. :) If you haven't heard it, you should. It's very lovely and empowering. Beautiful advice. I know you're changing people for the better, Rose. <3 I'm still walking this path but I must admit I'm much more happier here than where I was year+ ago. This was amazing. When you said that you felt like you weren't allowed to love yourself, I absolutely related to that. For some reason a lot of people I know, myself included, feel that actually liking yourself isn't something your supposed to do. Which is obviously not true, because loving yourself is one of the most benefifical things you can accomplish. 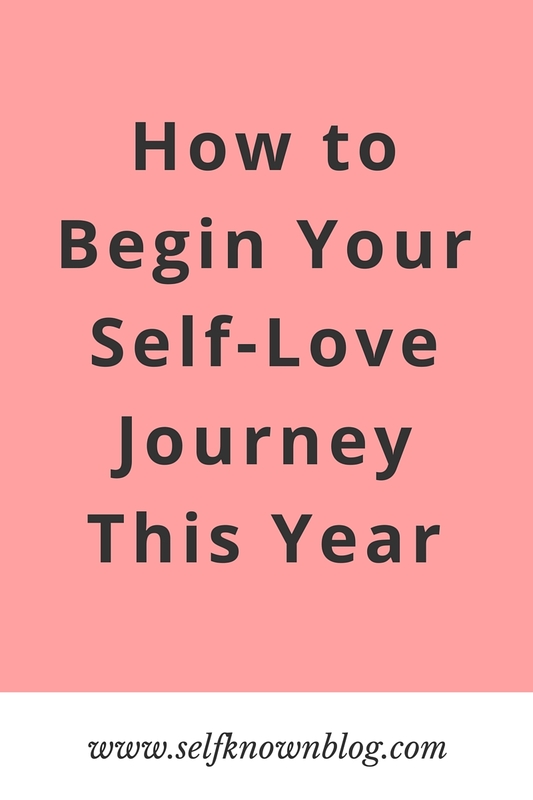 Recently I have been working on having more self-love, and honestly this really helped me. Thank you! And yes, I am going to comment on this as well, even though I just replied to your newsletter. Honestly? I am so happy about what you wrote in the beginning there. I used to feel the *exact* same way, Rosie. I used to think I couldn't love myself because that would be vain. But now I know what loving myself really means, and I couldn't have done it without you... Thank you. You beautiful hunk of perfection.